The “Law for Prevention of Damage to the State of Israel through Boycott – 2011″ was approved on Monday 11 July by a majority of 47 to 38 Members of the Israeli parliament, the Knesset. The law prohibits the public promotion of boycott by Israeli citizens and organisations, and, in some cases, agreement to participate in a boycott. It forbids not only a boycott of Israeli institutions but also of the illegal Israeli settlements in the Occupied Palestinian Territory (OPT). The wording of the law is designed specifically to prohibit and penalise political boycott of Israel or of the settlements in the West Bank, rather than other types of boycotts, such as consumer boycotts related to pricing of products. In private law, the law defines boycott as a new type of “civil wrong” or tort. It will enable settlers or other parties targeted by boycotts to sue anyone who calls for boycott, and the court may award compensation including punitive damages, even if no actual damage is caused to the boycotted parties. For example, if an Israeli actor publicly calls on others not to perform in a theatre in the Israeli settlement of Ariel, the theatre can sue that actor for a minimum sum of £5,000 in damages, which can be awarded even if no such damage was caused. In public law, the law will revoke tax exemptions and other legal rights and benefits from Israeli organisations and charities, as well as academic, cultural and scientific institutions which receive any state support, if they engage in boycott. For example, if a theatre calls for boycott of settlement theatres, its right to state funding or grants can be revoked. As a result of this threat, theatres may limit the ability of their employees to speak out, for fear of losing funding and benefits. 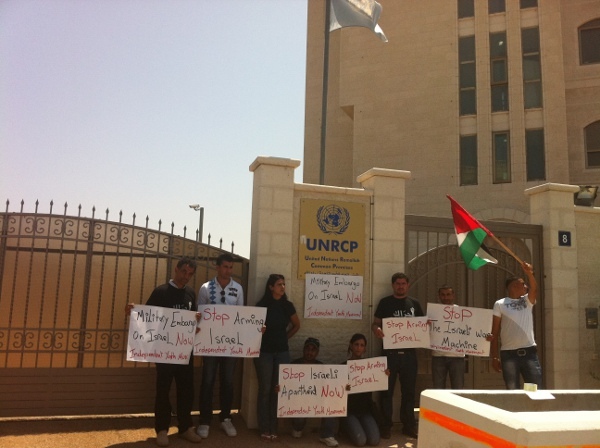 In addition, if a human rights organisation publishes information regarding settlements, and that information is used by others as a basis for boycott, that organisation or charity is liable to have its tax exemptions revoked, as well as being exposed to private compensation suits. Israeli businesses and industries will also be penalised, if they work with the Palestinian Authority and Palestinian companies and accept their conditions that exclude trade with businesses that also trade with settlements. A recent example of this is the plan to build the new Palestinian city of Rawabi. Israeli contractors wishing to participate have been asked by Palestinians to refrain from also doing business with settlements. The law seeks to penalise such contractors and may in effect deter Israeli businesses from trading with Palestinian businesses more generally. 1. On democratic values and the rule of law — because it restricts freedom of expression and association and threatens Human Rights Defenders. Boycotts, even if unpopular as a tactic, are a non-violent and legitimate form of public protest. 2. On respect for international law and the chances for peace — because for the first time it provides official legal protection for the illegal settlement project in the West Bank, and conflates the status of the state of Israel with that of the settlements. Prior to the vote, Israel’s Advocate General declared the bill to be ‘borderline unconstitutional’. The legal advisor to the Knesset also issued a harsh critique of the bill, defining it as illegal. Following the passing of the law, an intense public debate broke out in Israeli media and in the Knesset. A poll held on behalf of Israel’s Knesset TV Channel immediately after the vote showed that 52 per cent of Israelis support the law, while 31 per cent oppose it , but following this there have been numerous calls of opposition from civil society. Israeli human rights group Physicians for Human Rights-Israel called for civil disobedience in the face of the law, while a Facebook page opened by activist group Peace Now, initiating a consumer boycott of settlement products in defiance of the law gathered 6000 supporters within two days. Most Israeli newspapers have come down clearly against the law, and a Member of Knesset from the Israeli opposition party Kadima (which initially participated in the drafting of the bill, but later withdrew its support) has tabled a proposal to revoke the law. Immediately after the vote a petition was submitted to Israel’s High Court of Justice by Israeli peace group Gush Shalom, challenging the compatibility of the bill with constitutional principles. A second petition is currently being prepared by two leading Israeli human rights organisations, on behalf of other human rights groups as well as organisations most liable to be affected directly by the law. Two days after the law was passed, the EU’s foreign policy chief Catherine Ashton responded to it, telling press that she was ‘concerned about the effect that this legislation may have on the freedom of Israeli citizens and organizations to express non-violent political opinions’. 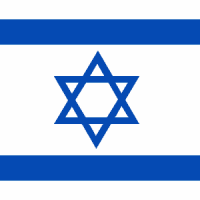 Despite abstaining from the vote Israeli Prime Minister Binyamin Netanyahu has voiced support for the law. In a debate in the Knesset he said the bill reflects Israeli democracy. “What stains (Israel’s) image are those savage and irresponsible attacks on a democracy’s attempt to draw a line between what is acceptable and what is not,” he said. The anti-boycott law is the latest in a string of aggressive legislation by Israel’s Knesset, whose essence is the attempt to restrict political dissent and human rights-based criticism of Israeli policies toward Palestinians. On Wednesday 25 July, the Knesset is set to vote on a different initiative, put forward by FM Avigdor Liebermann’s party Israel Beitenu (Israel Our Home), to establish a parliamentary commission of inquiry that will investigate the activities and funding of left-wing groups and human rights organisations. J-BIG member Les Levidow was one of the London-based activists whose plan to travel to Bethlehem via Tel Aviv’s Ben Gurion airport on July 8 was thwarted by a hysterical security clamp-down by the Israel authorities. After returning from several days detention in Givon Prison, Levidow wrote this analysis of Israeli attempts to stigmatise participants, first as “provocateurs” and “hooligans” and then as “terrorists”. The ‘Welcome to Palestine’ initiative aimed to challenge Israel’s blockade on Palestinians receiving foreign visitors. They have been effectively barred from Palestine unless pretending to be tourists or Christian pilgrims. Even prisoners have some rights to receive visitors, but the Israeli prison known as ‘the West Bank’ keeps out pro-Palestinian visitors. To challenge this restriction, several hundred of us planned to arrive at Ben Gurion airport on 8th July for a week-long programme of events. In the publicly advertised plan, we would openly declare our intention to visit Bethlehem and to be hosted by the Al-Rowwad Cultural Centre there. This initiative came to be called the fly-in. Some mass media called it the flytilla, by analogy to the Gaza flotilla being simultaneously blocked by Greece, though our week-long programme had been planned several months earlier. The Israeli government encouraged such a view of its political influence in Europe. Commenting to the mass media, Deputy Foreign Minister Danny Ayalon said that Israel’s diplomatic efforts led to the airlines’ cooperation in preventing the departure of the activists. This political basis was denied by airlines: ‘The fact that we prevented the activists from boarding the planes is no evidence of our supporting the State of Israel against the activists, or the opposite.’ According to Lufthansa, their action was legally constrained: airlines are obliged to block anyone ‘whose entry is refused by the destination country, as in this case’. We learned about the Europe-wide blockages on the day before our departure and so anticipated problems at London’s Luton airport on Friday morning 8th July. Fortunately, we smoothly boarded our Easyjet flight (except for one well-known activist who had been interviewed on Israeli radio). As we proceeded to the passenger area upstairs, some of us were stopped by a British official – probably from MI5, the political police. He asked to see our boarding passes, apparently to identify anyone on the Tel Aviv flight, and then asked exactly where we planned to go or whether we planned to attend a demonstration. When one womansaid no, she was accused of lying. Here the UK government was turning Luton airport into an Israeli checkpoint, acting on the paranoia and lies of the Israeli government. Arriving at Ben Gurion airport, when we told passport control that we intended to travel to Bethlehem, 14 of us were detained – but were never questioned by Israeli authorities. Delegates arriving earlier from other countries had a similar experience; only a few of them were questioned. We all had stated our travel destination in order to challenge the blockade. Nevertheless the government attributed subterfuge and deception to us. An official told the mass media that ‘most of the activists were identified and taken in for questioning during the afternoon hours’, implying that they had a great task to identify us. Moreover, the Prime Minister later commented: ‘We stopped the defiant fly-in against the state of Israel. Israel will continue to frustrate provocations and attempts to break through our borders, whether by land, sea or air.’ Such paranoic language attributes physical force to people seeking to enter the country in the normal way. If openly visiting Palestinians is ‘against the state of Israel’, then what kind of the state is it? While awaiting transfer from the airport to prison, at least 60 of us were crowded into an office of the Border Police. Officials there seemed unprepared for dealing with us, even embarrassed at detaining us. After a couple hours, 21 soldiers and police stormed in, grabbed some activists and dragged them downstairs to a police vehicle, where handcuffs were waiting and applied. Meanwhile the police were filming us, perhaps hoping to get a violent response to show the mass media, though we simply huddled together for protection. We would have appeared as implausible hooligans, especially given our social composition: more than half were women, and approx. one-third were more than 50 years old. Without physical resistance, the rest of us walked downstairs to the police vehicles, which took us to Givon Prison near Ramle. There a wing had been allocated to us, with separate sections for the men and women. This prison is normally used to detain people who are classified as ‘illegal immigrants’, originating mainly from the global South. The day after we arrived in the prison, a couple Border Police officials visited the prison with an offer – initially to me: ‘For humanitarian reasons, you can go to Bethlehem if you sign a document promising not to visit any place where there is conflict with the Army.’ I asked, ‘Couldn’t there be conflict with the Army anywhere?’ They clarified that the restriction meant places such as Bilin, Silwan, Jayous, etc. – i.e., flashpoints around the Apartheid Wall. As they also clarified, this offer was open to all the prisoners more than 55 years old. After discussion among the older men, we agreed to accept the travel restriction – if the offer was extended to all the prisoners, regardless of age. We discussed our idea with the younger men, who supported our counter-proposal. Then we put this to the Border Police officials, who gave no verbal response. Why the age limit in the Israeli proposal? Youth was being used as a marker for the dangerous Other: the French and Belgian younger men (approx. 30-50 years old) were mainly of North- African Arab descent, while only one older man was. The Border Police aimed to use the older men for a political aim: if we accepted their offer, then the ethnically Arab-European men could be isolated and stigmatised. Israel more widely uses youth as a marker for danger, e.g. in its 2009 ruling that only the under-15s and the over-50s males could go pray in Al Aqsa during Ramadhan and for a few weeks afterwards. The Israeli offer to us was repeated several times. It was put individually to some older prisoners during our four days there. And was put again to eight of us (Brits and Americans) when brought back to Ben Gurion airport on Tuesday 12th July. An hour before our London flight, the Border Police repeated the offer. ‘We can take you to Jerusalem this evening’, one said half-jokingly. Q: Why is this offer only for the older people? A: We first made this offer especially to you. A: Because we know that you won’t act in a violent way. Q: When we proposed to accept your offer if it was open to all the prisoners, why didn’t you agree? A: Because our intelligence agency has information about the others. So the original threat was upgraded – from provocateurs and hooligans to terrorists. Supposedly the Israeli officials had such information yet had not warned airlines about ‘terrorists’ on passenger lists. Non-violence was a central principle of the ‘Welcome to Palestine’ fly-in.16 As peace-keepers, international solidarity activists often join Palestinians in trying to protect their houses or their olive crops against pressures from illegal settlements. Sometimes the presence of internationals helps to deter terrorist activities by the IDF and settlers. So, how could Israel label the fly-in participants as hooligans or terrorists? Like its precedents in European colonialism, the Zionist state has generally projected its terrorist activity onto its colonial subjects, thus portraying its own crimes as self-defence against ‘terrorism’. Unfortunately, this strategy has ideological resonance with EU laws conflating terrorism with any resistance to oppression and even verbal solidarity. Under EU law, a vaguely defined ‘terrorism’ encompasses offences committed with the aim of ‘unduly compelling a Government or international organisation to perform or abstain from performing any act’, anywhere in the world. On this basis, the EU banned a list of organisations (e.g. 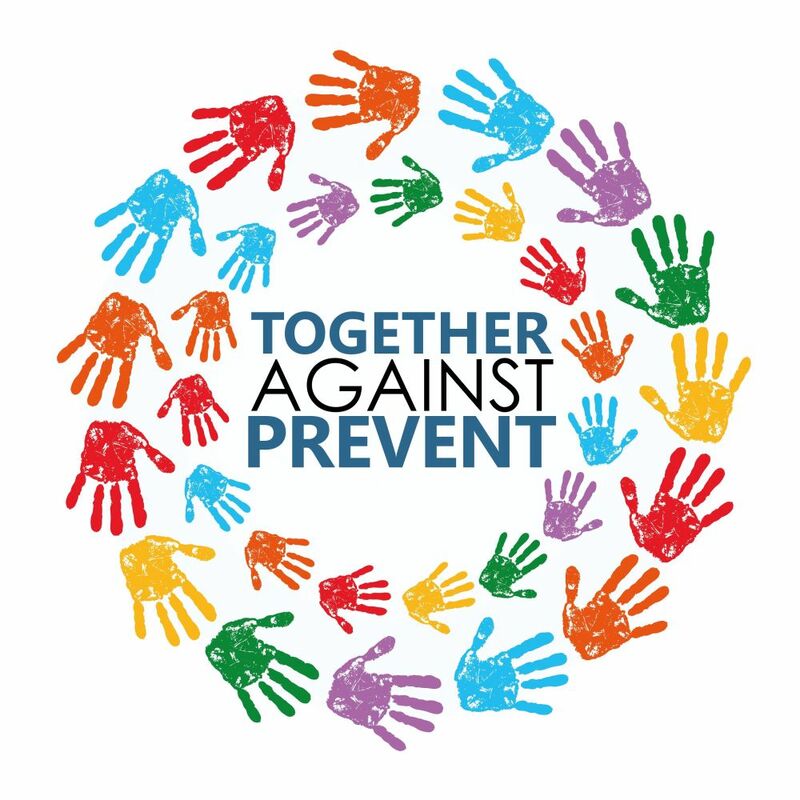 Hamas) as ‘terrorist’ and even authorised penalties against anyone associated with ‘terrorism’, as a means to deter European solidarity with resistance against oppression abroad. In particular, bank accounts in Europe can be denied or frozen, simply on grounds of suspicion. This happened to the UK’s Viva Palestina convoy, though eventually it found an alternative bank. A Muslim charity providing aid to Palestine has been disrupted by three investigations about supposed links to terrorism, on the basis of no credible evidence. By contrast to those political targets, the EU’s allies are never subjected to the vague definition of terrorism. For example, President Sarkozy is sponsoring a September 2011 conference on victims of terrorism. The organisers emphasise attacks on Israelis but remain silent about their attacks on Palestinians. In those ways, the EU political-legal system encourages Israel to portray its war crimes as self- defence by an innocent victim. When the Border Police attempted to isolate Arab-European men from other European delegates, this attempt complemented the EU’s ‘counter-terror’ regime. The European fly-in became another target of Israel’s racist apartheid system, especially its demonization of resistance. In the future we may face more systematic collusion between the EU and Israel in protecting its Occupation of Palestine against international solidarity. How best to anticipate and challenge this collusion? 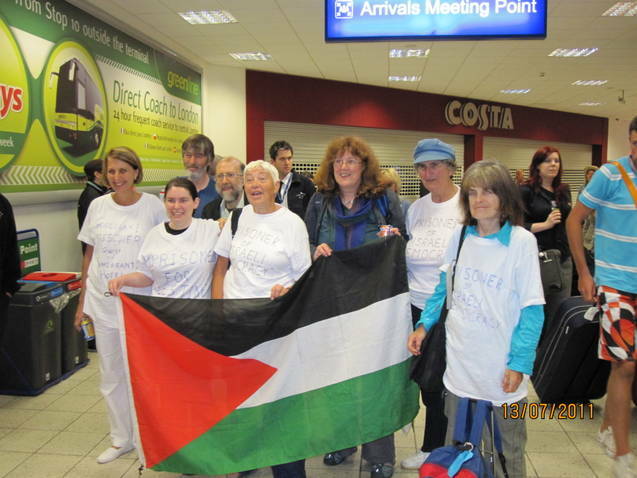 Thanks to the following: the ‘Welcome to Palestine’ network for organising the event, Scottish PSC for coordinating the London Easyjet contingent, fellow delegates for helpful comments on an earlier draft and of course the Givon Prison residents for camaraderie. 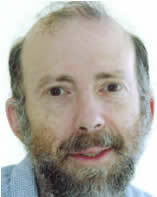 Bio-note: Les Levidow has been opposing the Israeli Occupation through various UK campaigns since the 1980s. These include: the ‘Return’ petition against the Israeli Law of Return (late 1980s), Palestine Solidarity Campaign, Jews Against Zionism (JAZ), Jews for Boycotting Israel Goods (J-BIG), and the British Committee for the Universities of Palestine (BRICUP). He also participates in the Campaign Against Criminalising Communities (CAMPACC), which opposes ‘anti-terror’ powers of the EU and UK. The largest Palestinian coalition encompassing all Palestinian political parties, trade unions, NGOs and mass organisations, the Palestinian BDS National Committee (BNC), today called for an immediate and comprehensive military embargo on Israel. “A comprehensive military embargo on Israel is long overdue. It forms a crucial step towards ending Israel’s unlawful and criminal use of force against the Palestinian people and other peoples and states in the region, and it constitutes an effective, non-violent measure to pressure Israel to comply with its obligations under international law,” reads the BNC’s call. The BNC has published a detailed legal and political analysis of international military relations with Israel and their impact. On 27 June 2011 a final version of the ‘Bill for prevention of damage to the State of Israel through boycott – 2011’ was approved by the Constitutional Committee of the Israeli Knesset. Israeli human rights groups have sent out an urgent call to EU Member States and their representatives, asking them to protest against the bill which applies not only Israel but also the illegal Israeli settlements in the Occupied Palestinian Territory (OPT). Israeli citizens and organisations calling for withdrawal of economic or cultural support from settlements or from Israel would be liable for heavy compensation payments, even if no actual damage is caused to boycotted parties. In addition, the final version of the bill includes a new list of sanctions against NGOs, public institutions and businesses engaging in boycott, including the loss of tax exemptions and the loss of eligibility for benefits afforded by various laws. Read the whole story on JNews.